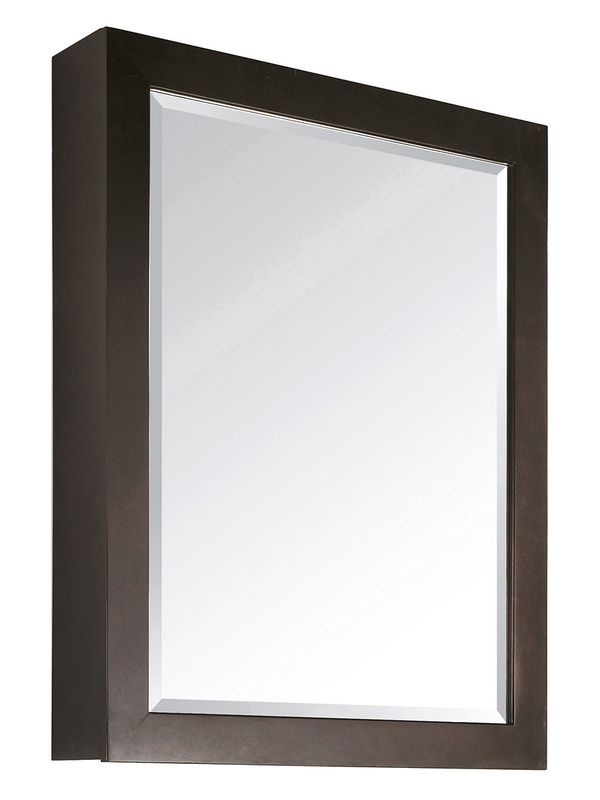 The Modero 61 in. 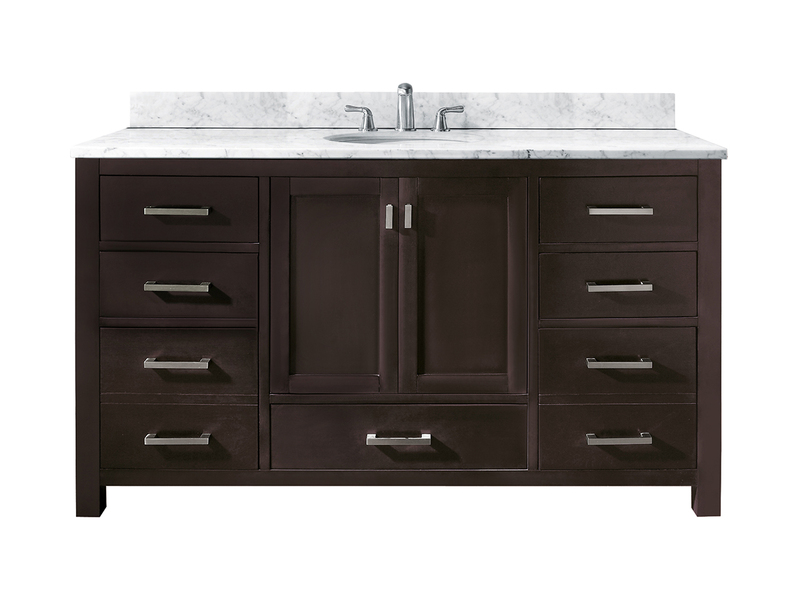 double vanity has a simple clean design with a rich espresso finish and brushed nickel hardware. 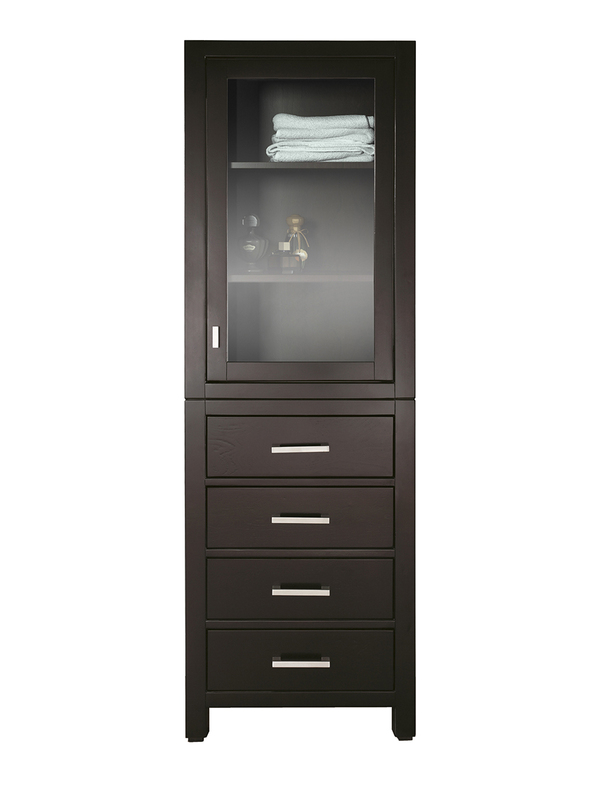 It is constructed of solid poplar wood and veneer with soft-close doors and drawers that showcase its quality. 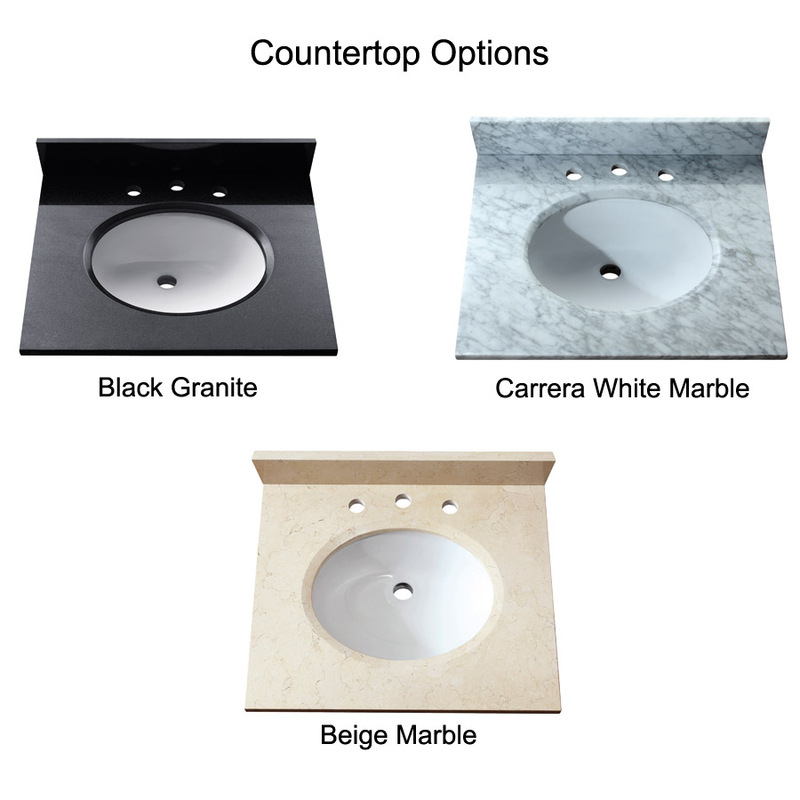 The vanity combo includes a black granite counter top and dual undermount sinks. 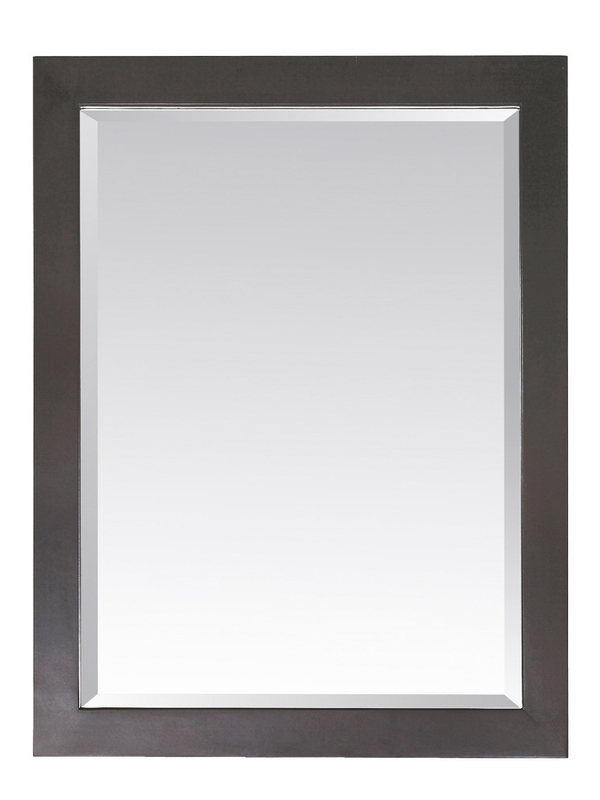 Add the coordinating mirror, mirrored storage cabinet or linen tower to complete the look of your bathroom.